Ah, the true Christmas feeling makes you feel all warm and cozy inside - despite the cold weather outside. 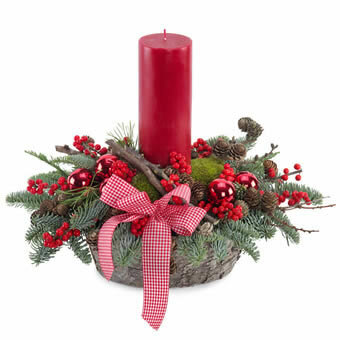 Send this Christmas arrangement straight to the doorstep of someone you love this Christmas. We are certain that the happy receiver will love it!